Easter Bunny head in head applique design. Box shows blue on blue chevron fabric. Bunny head is made of soft furry fabric. 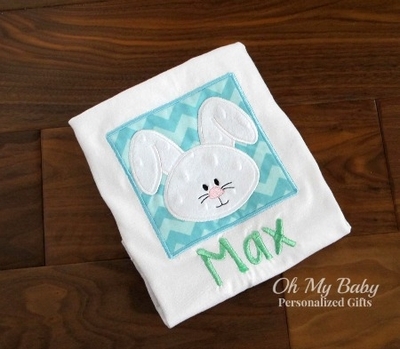 Personalized with embroidered name.